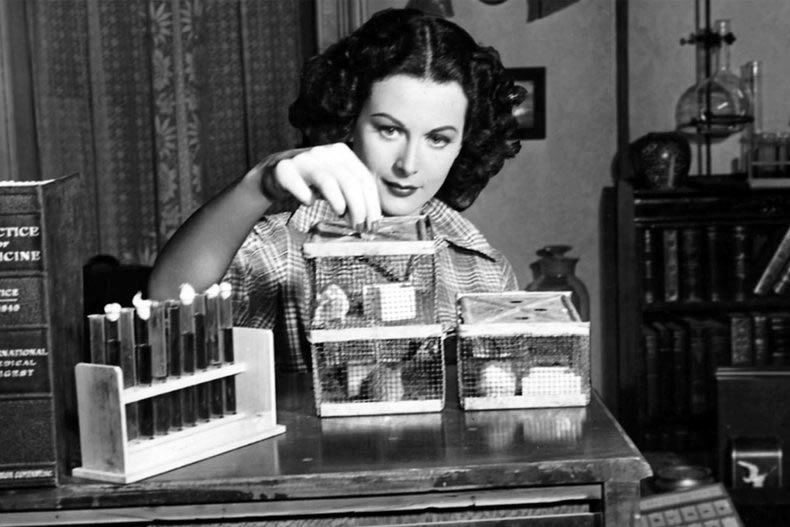 A good friend sent me an e-mail last week saying how much he enjoyed the piece about Hedy Lamarr who invented the radio technology on which much of our current Wi-Fi and other protocols are based. The article mentioned that the documentary Bombshell: The Hedy Lamarr Story, is currently showing in selected theaters around the country. So I have included another article this week: How Inventive “Genius” Hedy Lamarr Became a Hollywood Tragedy. I found out from the president of Zeitgeist Films that Kino Lorber will be releasing this title on DVD and Blu Ray on or about April 24th. Until then it is still in theaters. Oh yes, another thing I forgot to mention, the article said that during the Cuban missile crisis the US Navy started using this technology. I was a Navy radioman during that time and some of the testing was being done in the room next to the one where I was working. I could see that it had something to do with frequency hopping and spread spectrum but they wouldn't tell me much about it since it was still a secret back then. I remember the guy operating the equipment—just another radioman—but really wierd. He claimed he could speak hundreds of different languages. SAN JOSE, Calif., Feb. 1, 2018 /PRNewswire/ — Extreme Networks, Inc. (Nasdaq: EXTR), today announced the appointment of Maryam Alexandrian-Adams, a technology industry leader, to its board of directors effective today. Alexandrian-Adams is a seasoned former executive with significant sales and marketing experience and demonstrated strategic and operational excellence in go-to-market (GTM) strategies, product management, channel and field marketing and sales operations. Alexandrian-Adams has over twenty years of leadership experience in high technology companies including Dell and Wyse Technology. Most recently, she served as vice president of Dell's Cloud Client Computing Division where she managed its GTM strategy and strengthened its worldwide sales and field operations team following Dell's acquisition of Wyse Technology in 2012. Prior to Dell, Alexandrian-Adams served as senior vice president and Chief Sales Officer of Wyse Technology's global sales, channel and field marketing. "As Extreme builds on ten straight quarters of solid financial performance, integrates the recently acquired businesses from Avaya and Brocade, and further refines our GTM strategy, we're excited to add Maryam Alexandrian-Adams to our board of directors and to benefit from her experience," said Ed Meyercord, president and CEO of Extreme Networks. "I'm thrilled to be joining Extreme's board of directors, especially at a time when the company is experiencing significant growth in terms of market share following its recent string of acquisitions," said Alexandrian-Adams. So . . . on to more news. While CMS S&C now supports secure texting, it does not support the use of texting of patient orders. Watch a new clip from an upcoming documentary that explores the actress’s fascinating history as a brilliant inventor—and her heartbreaking end. The most beautiful woman in the world was deeply misunderstood. In the 1930s and 40s, actress Hedy Lamarr was given that heady moniker—praised across Hollywood for her smoldering visage and European sensibility. She was stunning, to be sure, her beauty coupling well with a sensual mystique and a gift for acting that landed the MGM star in films alongside future icons like Judy Garland and Clark Gable. Though she never reached the same level of celluloid canonization, Lamarr had a another gift to offer the world, one that has built her a legacy far greater than her films ever did. The actress, it turned out, was also a brilliant inventor who made movies by day and labored over pet inventions by night, eventually creating and patenting a form of frequency hopping that is still used in modern technology. Do you like Wi-Fi? You can thank Lamarr for that. In the new documentary Bombshell: The Hedy Lamarr Story, co-executive produced by Susan Sarandon and set to premiere at the Tribeca Film Festival, then later as part of the PBS series American Masters, director Alexandra Dean takes a closer look at the birth and evolution of Lamarr’s inventive mind. Despite the bountiful evidence, there were many who didn’t know about Lamarr’s brilliant gift—partially because she didn’t talk much about it. In her ghostwritten autobiography, Ecstasy and Me, there’s no mention of her desire to invent; instead, the book is a surprisingly lurid rehashing of her sexual exploits, her marriages, and her drug use, Dean says, which stands completely at odds with the biography of Lamarr later written by Pulitzer Prize-winner Richard Rhodes. His book, Hedy’s Folly, homes in on her work in frequency hopping with offbeat composer George Antheil, an invention born out of Lamarr’s desire to help the military come up with a secure communication system during the war. For Dean, it was “impossible to build a bridge” between the two Hedys presented in these books—though things later made sense when she found out that Lamarr later discredited Ecstasy and Me, filing a $21 million lawsuit against the publisher. This only made Dean’s job as a documentarian more difficult. How could she tell the story of a woman who never told her story herself? That’s how the film got its hands on rare, never-before-heard audio of Lamarr telling her own story on her own terms. Bombshell also relies on first-person accounts from stars who knew Lamarr in her day, including Mel Brooks and the late TCM host Robert Osborne. Both had vastly different relationships to the star—Lamarr sued Brooks, a longtime fan of hers, for naming a character “Hedley Lamarr” in Blazing Saddles; Lamarr, meanwhile, was best friends with Osborne. Osborne’s first interview shapes the film’s beginning, Dean says. A year and half into the production, the director thought it would be fitting for Osborne to give the film its ending as well, so she called and asked if he’d sit for one more interview. Though Lamarr’s life ended on a somewhat tragic note—she died a recluse with minimal recognition of her inventive talent—Dean promises that the film offers her some form of redemption, thanks largely to the previously unheard tapes. “She opens the tapes by saying ‘I wanted to sell my story . . . because it’s so unbelievable,’” Dean recites. “‘It was the opposite of what people think.’” Now people have a chance to learn the truth. BROADCAST Electronics, a longtime Quincy company with a worldwide reputation for its radio equipment, is ready to make the leap into television technology after merging with a pair of Italian broadcast companies. Quality jobs will be created, and Quincy will maintain its status as an international broadcast capital. Leonardo Busi, BE's new owner, is the founder of Elenos, an Italian FM broadcast manufacturer. He also owns Itelco, which builds TV transmitters and produces technology for the aerospace, medical, military and scientific fields. While completing his acquisition, Busi talked about plans to expand Broadcast Electronics while retaining its name, workforce and Quincy location. "I see, at BE, the ability to expand into television, and we will be investing in this. For the past few years we have revived the Itelco brand, and there is an opportunity to bring our TV options in a bigger way to the U.S.," Busi said. BE President and CEO Tom Beck said the Quincy facility employs about 50 people and should be adding jobs soon. Beck said by going into television, the company will become a new player, but with a familiar name, as broadcast spectrums and standards change. "We have the ability to provide U.S. manufacturing, customer service and support from right here in Quincy," Beck said. Quincy has a long history as a broadcast hub. Gates Radio was formed in 1922. Now under the name of GatesAir, the company continues to grow as a manufacturer of television and other broadcast technology. Motorola ran a huge television manufacturing factory in Quincy for 30 years, starting in the late 1940s. 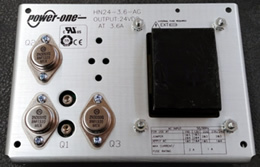 Quintron, later bought by and operated as Glenayre Quincy, was founded in 1969 to build paging transmitters and devices. The company grew to employ about 600 workers at one point before closing in 2011. Broadcast Electronics, founded in 1959, has equipment on every continent. The company also produces industry-leading hardware and software for studio automation and social media. Beck said that although he grew up in Quincy, he didn't realize these companies were worldwide broadcast leaders. Broadcast Electronics is one of many quiet success stories within the community. Company officials have spent decades focusing on serving the broadcast industry, rather than burnishing their local reputation. Quincy will benefit as the company adds jobs, and the city will enter a new era as an international broadcast hub. 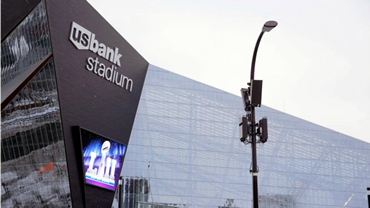 One of Verizon’s small cells outside U.S. Bank stadium and Verizon handrail antennas inside enhance wireless data capacity for the event. Wireless carriers are prepared for record mobile data use in and around U.S. Bank Stadium in Minneapolis this weekend for the Super Bowl. Nearly 70,000 fans will be in the stadium and another one million visitors are expected to use their smartphones and other mobile devices in the area. Upgrades consisting of macro towers, small cell and Distributed Antenna Systems (DAS) are part of the mix, according to a blog post on Medium by Kristen Beckman, Community Manager of the Wireless Infrastructure Association. Verizon has been preparing for two years; it deployed 24 macro cell tower sites and 230+ small cells. The new infrastructure combined, boosted Verizon’s network capacity in the Twin Cities metro by 500 percent, according to the carrier. In downtown Minneapolis, which is hosting the free football festival Super Bowl Live, Verizon doubled its network capacity on Nicollet Mall by placing small cells in bus shelters, a new solution for the carrier. “Verizon also installed security cameras on street lights with its small cells in the downtown area in partnership with the city of Minneapolis and bolstered capacity at the Mall of America and Minneapolis-Saint Paul International Airport with neutral-host DAS equipment,” writes Beckman. Inside the stadium, Verizon added 48 percent more antennas to its DAS, using drinkrail, handrail and under-the-seat antennas, as well as Matsing Ball antennas, installed 330 feet above the field. AT&T invested $40 million in permanent and temporary network upgrades to its Minneapolis network during the past year. Within the stadium, AT&T upgraded its DAS system, adding nearly 220 percent more LTE capacity from the start of the 2017 season. More than 800 antennas are deployed in the stadium, AT&T said. Outside the stadium, AT&T added or upgraded DAS equipment in 16 locations, including at hotels, arenas, airports, convention centers and other venues where fans are expected to congregate. In addition to an upgraded DAS at Minneapolis-Saint Paul Airport and the convention center, a new DAS was deployed at the Armory to enhance coverage for fans attending the concert venue each night leading up to the game. AT&T will deploy 10 temporary Cells on Wheels to handle increased wireless demands. T-Mobile expanded coverage and permanently increased LTE capacity in and around Minneapolis/Saint Paul with small cells, DAS equipment and additional backhaul. “T-Mobile said it focused its network enhancements where the biggest crowds will be, boosting capacity 30x for spectators at U.S. Bank Stadium, 35x for the Super Bowl Experience at the Minneapolis Convention Center, 16x at the Xcel Energy Center for Super Bowl Opening Night, and 8x at the Armory, Nicollet Mall, downtown Saint Paul, the Mall of America and Minneapolis-Saint Paul International Airport,” according to Beckman. T-Mobile is using carrier aggregation, 4X4 MIMO and 256 QAM technologies to increase download speeds, and expanded coverage with 120 new small cells throughout the city, stadium and surrounding venues. 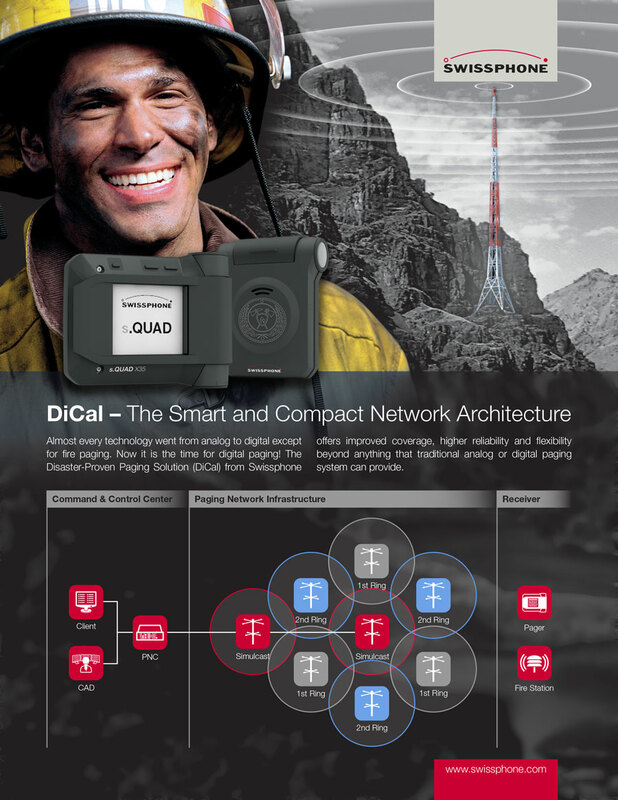 The carrier deployed Centralized Radio Access Network technology to increase upload speeds by up to 40 percent. Sprint too, has been working for the past year to upgrade its Twin Cities network. The carrier employed three-channel carrier aggregation — 800 MHz, 1.9 GHz, and 2.5 GHz — across 400 cell sites, and installed 200 small cells using 2.5 GHz spectrum in both the stadium and on lamp posts and street lights. 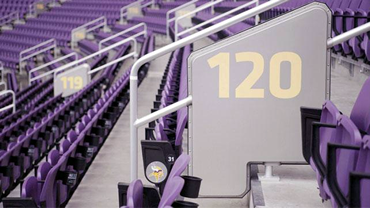 The carrier installed 800 DAS antennas inside US Bank Stadium, and provided hundreds of Sprint Magic Boxes — labeled the world’s first wireless small cells — to local businesses to boost indoor data speeds by an average of 200 percent. Sprint upgraded or installed new indoor systems at the Minneapolis Convention Center, Minnesota State Fairgrounds, Hyatt Regency, Target Center, Xcel Energy Center, and other city venues across Minneapolis-Saint Paul. Non-Nationwide Providers that do not provide coverage in any of the Test Cities must collect and report aggregate data based on the largest county within its footprint to APCO, NENA, and NASNA on the location technologies used for live 911 calls in those areas. Clients should obtain spreadsheets with their company’s compliance data from their E911 service provider (e.g., Intrado/West). Our law firm is available to review and/or assist in preparing these reports. This is a recurring report due every six months — on first business day of second month after the six month period for which data is reported (i.e., February 1 and August 1 for Tier III service providers). In the absence of clarification from the FCC or grant of a waiver request, CMRS service providers that have not yet received requests for E911 Phase II service should file letters confirming their status to the FCC and public safety agencies. Please contact Cary Mitchell if you would like assistance in preparing the Live 911 Call Data Report or appropriate letter in lieu of this report. Last weekend, online news service Axios ran a story (calling it a “scoop”) that the Trump administration was “considering a proposal to nationalize the nation’s yet-to-be-built 5G mobile network as a way to guard against China. Reporters for Axios obtained a PowerPoint deck and a memo – both from a Senior NSC official – that were reportedly presented to senior officials at various agencies in the Trump administration recently. Strong pushback from the FCC Commissioners suggests the proposal is a non-starter. The documents (which are embedded in the Axios story) argue that the U.S. needs to build superfast 5G wireless technology quickly because “China has achieved a dominant position in the manufacture and operation of network infrastructure,” and “China is the dominant malicious actor in the Information Domain.” They then make the case that America needs a centralized nationwide 5G network – “the 21st century equivalent of the Eisenhower National Highway System” – within three years. The U.S. government pays for and builds the single network — which would obviously be an unprecedented nationalization of a historically private infrastructure. This month AT&T was reportedly forced to scrap a plan to offer its customers handsets built by China’s Huawei after some members of Congress lobbied against the idea with federal regulators, sources told Reuters. Huawei had been expected to announce an agreement with AT&T at the CES trade show in Las Vegas but the country’s No. 2 carrier by subscribers changed its mind at the last minute. Huawei is the world’s No. 3 smartphone brand behind Samsung Electronics Co. and Apple Inc., but it has been largely shut out of the U.S. market. The company’s handsets are available from online retailers and some physical stores in the U.S., but not via phone-and-data-plan bundles from major mobile carriers. Paper Filing of Contracts: a Notice of Proposed Rulemaking proposing to eliminate the requirement that broadcast licensees and permittees routinely submit paper copies of contracts and other documents to the FCC as specified in Section 73.3613 of the FCC’s rules. (MB Docket Nos. 18-4; 17-105). In addition to the above items, the FCC also adopted a Notice of Apparent Liability against DataConnex in the amount of $18.7 million (see the full article below for more information), and deleted from the agenda an Order deleting rules made obsolete by the Digital TV transition (MB Docket No. 17-105) without consideration. On January 31, the FCC published a notice in the Federal Register regarding FCC Form 183, which will be used to determine whether an applicant is legally qualified to participate in the Connect America Fund Phase II support (CAF–II support) auction. Comments on the form are due by March 2. The FCC will use FCC Form 183, which applicants will use to provide the necessary information and certifications in connection with the CAF-II auction. Commission staff will review the information collected on FCC Form 183 as part of the pre-auction process, prior to the start of the auction, and determine whether each applicant satisfies the Commission’s requirements to participate in an auction for CAF–II support. At this time, the draft Form 183 is not posted, but will ultimately be viewable here, by selecting “Federal Communications Commission” from the “Currently Under Review” drop-down box, and reviewing the list of items for the form. Carriers interested in filing comments on Form 183 should contact the firm for assistance. Unlike traditional FCC comments, PRA comments must focus on: (i) whether the proposed collection of information is necessary for the proper performance of the functions of the FCC, including whether the information will have practical utility; (ii) the accuracy of the FCC’s burden estimate; (iii) ways to enhance the quality, utility, and clarity of the information collected; (iv) ways to minimize the burden of the collection of information on the respondents, including the use of automated collection techniques or other forms of information technology; and (v) ways to further reduce the information burden for small business concerns with fewer than 25 employees. BloostonLaw routinely prepares PRA comments and is available for assistance. BloostonLaw Contacts: Ben Dickens, Gerry Duffy, Mary Sisak, and Sal Taillefer. On January 30, the FCC proposed an $18,715,405 fine against DataConnex for apparent violations involving the Universal Service Fund Rural Health Care Program. Specifically, the company is charged with violating the Communications Act, the program’s competitive bidding rules, and using forged, false, misleading, and unsubstantiated documents to improperly seek funding from the Universal Service Fund (USF). The FCC also alleged that DataConnex’s apparent financial relationship with a consultant hired by rural health care providers to help select a service provider undermined the competitive bidding process. DataConnex also apparently provided false and misleading information to unlawfully increase the USF funding it received. According to a Press Release, from 2014 through 2016, DataConnex paid more than $220,000 to Harrison & Howard Advisors, a company under common ownership with Healthcare Connect United. Healthcare Connect United represented rural health care providers in the program and managed their competitive bidding processes. DataConnex held itself out to rural health care providers as just another service provider while Healthcare Connect United professed to be an independent representative whose loyalty was to the rural health care providers. DataConnex and Healthcare Connect United apparently developed coordinated plans and strategies targeting rural health care providers, and undermined the basic fairness required of competitive bidding. DataConnex apparently encouraged rural health care providers to retain Healthcare Connect United as their consultant prior to the initiation of the competitive bidding process. In many instances, after Healthcare Connect United was retained to help manage the bid process, DataConnex was awarded program contracts by these rural health care providers. The evidence further shows that, in connection with at least six rural health care providers represented by Healthcare Connect United, DataConnex paid Harrison & Howard Advisors in apparent connection with contracts DataConnex was awarded once the rural health care providers began paying DataConnex for their telecommunications services. The Enforcement Bureau determined that the rural health care providers were not aware of the financial relationship between DataConnex and Harrison & Howard Advisors/Healthcare Connect United. DataConnex also apparently created urban rate letters that were based on forged, false, misleading, and unsubstantiated documents to increase its support from the USF. On January 26, the FCC published in the Federal Register its Notice of Proposed Rulemaking initiating a review of the national television audience reach cap, including the UHF discount used by broadcasters to determine compliance with the cap. Comments are due February 26, and reply comments are due March 27. The national cap limits entities from owning or controlling television stations that, together, reach more than 39 percent of the television households in the country. The NPRM asks questions about whether a cap is still needed and what public interest goals it would promote, where the cap should be set if still needed, and how compliance with the cap should be calculated, including the question of whether the UHF discount should be eliminated. The Notice also invites comment on the FCC's legal authority to take such actions. Joseph Simons, of Virginia, to be Chairman of the Federal Trade Commission for the term of seven years from September 26, 2017, vice Terrell McSweeny, term expired. Rohit Chopra, of New York, to be a Federal Trade Commissioner for the unexpired term of seven years from September 26, 2012, vice Joshua D. Wright, resigned. Noah Joshua Phillips, of Maryland, to be a Federal Trade Commissioner for the term of seven years from September 26, 2016, vice Julie Simone Brill, term expired. Christine S. Wilson, of Virginia, to be a Federal Trade Commissioner for the unexpired term of seven years from September 26, 2011, vice Maureen K. Ohlhausen. The FCC last week issued an Order on Remand in the FiberTower 24 and 39 GHz construction waiver proceeding and announced it had reached a settlement of pending proceedings, including the D.C. Circuit’s remand, of its ongoing dispute and federal court litigation. In exchange for letting the deal go through, the settlement requires FiberTower to make a “Voluntary Contribution” of $15 million to the US Treasury, and for AT&T to make an “Additional Voluntary Contribution” of $12 million. Language in the settlement agreement pegs AT&T’s $12 million contribution as equal to “twenty percent (20%) of the reinstated license proceeds,” which would appear to value the larger FiberTower-AT&T deal (or at least the portion that was approved) at $60 million. The Competitive Carriers Association (CCA) had urged the FCC to reject AT&T’s efforts to acquire FiberTower’s licenses, requesting that the FCC instead make them available for auction. The settlement requires FiberTower to relinquish all of its 24 GHz licenses, and some of its 39 GHz licenses. FiberTower Spectrum Holdings was a wireless backhaul startup that had amassed hundreds of millimeter wave licenses (94 licenses in the 24 GHz service and 595 licenses in the 39 GHz service) but that found itself in the soup back in the summer of 2012 after the FCC had denied its request for extension of substantial service construction deadlines; when it filed for Chapter 11 bankruptcy protection. The FCC denied its request for waiver of the construction benchmarks, and the company filed a Petition for Reconsideration that was also denied. The Bankruptcy Court issued an order granting a preliminary injunction that prevented the FCC from granting, transferring, assigning, or selling FiberTower’s 24 GHz and 39 GHz licenses to any entity other than FiberTower or FiberTower’s designee. FiberTower eventually appealed the FCC’s orders, arguing among other things that the FCC made a material mistake of fact when it concluded it had not constructed any of its 689 licenses. FiberTower represented to the court that it had in fact constructed 28 of the 24 GHz licenses and at least 14 of the 39 GHz licenses. The FCC eventually reinstated the 42 licenses at issue to active status in the summer of 2015, and gave the company 60 days to respond to return letters that sought additional information about the facilities that were constructed under each license. FiberTower timely responded. Then, last January, FiberTower and AT&T announced that they had entered into an agreement for AT&T to acquire FiberTower’s stock and all rights to the company’s millimeter wave licenses, with AT&T noting spectrum would help it “lay the groundwork for 5G and beyond.” Those applications had been been pending for almost a year. Under the terms of last week’s FCC settlement, FiberTower has been forced to relinquish all of its 24 GHz licenses (around 121 in total) and roughly the same number of 39GHz permits. At the end of the day, AT&T will get around 479 of FiberTower’s 39 GHz licenses and none of its 24GHz licenses. The return of all of FiberTower’s 24 GHz licenses and the settlement of litigation should pave the way for the FCC to move forward with auctions for millimeter wave spectrum, as well as 39 GHz rebanding efforts. The FCC says that 24 GHz band will now be virtually clear of incumbent licenses and can be made available for initial licensing, enabling rapid deployment of 5G and next generation wireless services nationwide. The FCC’s action will assist in rebanding the 39 GHz band, as required under the Spectrum Frontiers Report and Order, which is necessary prior to auction of the vacant and available licenses in the 39 GHz band. Ending the litigation will help to restore regulatory certainty concerning the status of licensing in the 24 and 39 GHz bands, including identifying unassigned spectrum that could be licensed under the new Upper Microwave Flexible Use Service rules, and permitting service to be deployed more efficiently and expeditiously in these bands. Feb. 15 – Comments are due on MVPD communications proceeding. Feb. 22 – Reply comments are due on Spectrum Frontiers / Above 24 GHz Report and Order. Feb. 26 – Comments are due on national television audience reach cap review. Mar. 2 – PRA comments due on FCC Form 183. Mar. 5 – PRA Comments are due on pole attachment complaint process; network change notification revisions. In January 2017, we reported that the FCC had issued an order designating all of the FCC licenses and pending applications of Acumen Communications for an evidentiary hearing in order to determine whether Acumen repeatedly made misrepresentations in connection with its fifty (50) wireless license applications to the FCC. 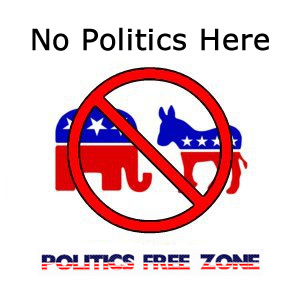 In particular, over the course of eight (8) years, Acumen answered “NO” in response to the question on FCC Form 601 concerning whether “[t]he Applicant or any party to [the] application or any party directly or indirectly controlling the Applicant, [has] ever been convicted of a felony by a state or federal court” even though Hector Mosquera, its manager, officer and sole shareholder, had apparently been convicted of a felony in the State of California. In response to the Hearing Designation Order, the FCC’s Chief Administrative Law Judge has now terminated the hearing after Acumen failed to appear. 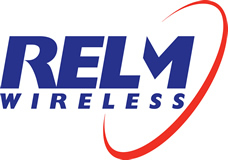 As a result, the FCC revoked the licenses of Acumen and dismissed any pending applications for modification or renewal of its various licenses in the wireless services upon the finding that “Acumen lacks the qualifications to be or remain a Commission licensee because Acumen failed to respond to a Letter of Inquiry (LOI) from the Enforcement Bureau, waived its right to a hearing, and failed to respond to evidence that has been presented to the Commission in its own license application proceedings.” The Commission noted further that Acumen misrepresented or lacked candor when it failed to disclose on various Commission applications that the person apparently controlling Acumen had a felony conviction in California. It is important to note that a felony conviction in and of itself will not disqualify an applicant or licensee from holding an FCC radio license. However, the FCC’s inquiry about felony convictions must be answered accurately. 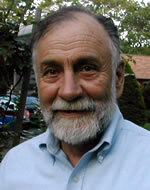 Additionally, our clients should be aware that the FCC’s look back on felony convictions is time immemorial – meaning that the question applies to any conviction without regard to (a) how far removed in time it is from the present or (b) whether the conviction has been “expunged” from the defendant’s record. This can be more critical for corporate entities since convictions going back 50, 60, or even 100 or more years must be disclosed. 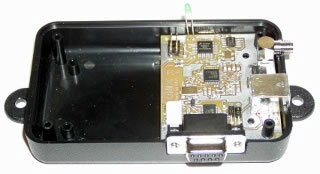 The Mid Field WattUp transmitter technology can be designed into a sound bar, part of the bezel of a computer monitor or into other small devices. Additionally, through software control, the user could control the priority for recharging various devices. If this technology is accepted by the public, we anticipate that wireless devices will once again go through a reformation which could make cars and homes more connected. It is important to note that certain auto manufacturers already have built-in 4G LTE hotspots, as well as contact-based charging pads that are compatible with certain smart phones, but not others. Likewise, this technology could also find usage in public venues such as airports and libraries, where charging stations are provided for wireless devices. The FCC has cited Lithia Toyota of Grand Forks for operating portal lighting equipment that causes harmful interference to a nearby Verizon 700 MHz LTE cell site. Verizon stated that the “interference appears during the evening hours” and disappeared “at daylight” and noted that the interference appeared to correspond with the outdoor portal lighting schedule at the Lithia Toyota dealership. As a result, Verizon set up testing for this correlation during the daytime via an on/off test of the portal lighting that operates from the front of the Dealership. Since Lithia Toyota did not take corrective action based upon the testing, Verizon submitted a complaint to the FCC. In response, the FCC’s Enforcement Bureau issued an “on-scene” warning to the dealership that it was in “operation of a radio frequency radiating device” which was causing harmful interference to radio communications. The FCC confirmed that the interference issue had not been resolved three months later. It is important to note that many lighting devices, such as fluorescents and LEDs are considered to be RF Industrial, Scientific and Medical equipment (ISM) devices that are regulated under Part 18 of the FCC’s Rules. In this regard, the FCC’s rules state that the operator of ISM equipment that causes harmful interference to any authorized radio service, such as cellular, 700 MHz, Industrial/Business, etc. “shall promptly take whatever steps may be necessary to eliminate the interference.” For purposes of these rules, harmful interference includes “interference that seriously degrades, obstructs or repeatedly interrupts a radio communications service”. If you receive a complaint concerning a piece of equipment or a fixture that may be causing harmful interference to a radio operation, it is very important that you promptly contact our office so that we can guide you through the necessary steps to ensure compliance with the FCC’s rules. FCC Chairman Pai summarized his accomplishments at the end of his first year as chairman. Aside from the repeal of Net-Neutrality (which has been a lightning rod both at the FCC and in the press), the Chairman’s priorities have included bridging the digital divide, promoting innovation and investment, protecting consumers and enhancing public safety, transparency and process reforms and cutting and modernizing outdated regulations at the FCC. Actions of interest over the past year include: Freeing up spectrum for next-generation wireless services, approving wireless charging tech/power at a distance, expanding spectrum for vehicular radars, supporting new experimental licensing for program licenses for research centers and universities and streamlining equipment authorization procedures. Additionally, the FCC has reformed the process for consent decrees in enforcement actions proposed by the full Commission, so that a vote by the FCC is required before the Enforcement Bureau may enter into a consent decree to settle a Notice of Apparent Liability or forfeiture order. 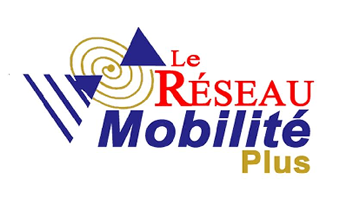 Finally, the FCC adopted rules to streamline paperwork for wireless mobile services by eliminating the “commercial mobile radio service presumption” presumption, thereby allowing more flexible use of spectrum for private internal uses. Interestingly enough, the Chairman has not included in his accomplishments for the past year the adoption of new rules to “harmonize” its wireless discontinuance and license renewal procedures that were adopted late last year. The FCC has granted Ocean Signal its request for waiver of Rule Section 95.2991(b), in order to continue the marketing and sale of the Ocean Signal rescueME MOB1 Maritime Survivor Locating Device (MSLD) through March 31, 2018. MSLDs are intended to be used by individuals who are at risk of falling into the water such as mariners and workers on marine installations or docks, or by divers returning to the surface out of sight of their dive boats. 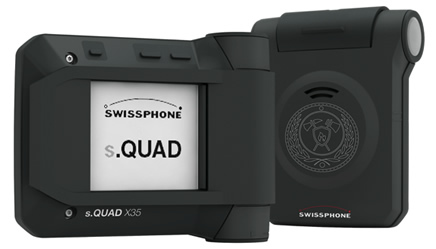 These devices can be worn on or as part of a garment or life jacket, and are intended to facilitate the rescue of personnel in the vicinity of their vessel or structure so that immediate assistance can be rendered without a time-consuming and expensive search and rescue operation. Previously, MSLDs were not authorized under the FCC’s Rules, since they did not meet the technical requirements for Emergency Position Indicating Radio Beacons (EPIRBs). However, because MSLDs contribute to maritime safety of life, the FCC granted waivers to permit the certification and use of MSLDs — which Ocean Signal obtained in 2014. The FCC amended Part 95 of its rules in 2016 in order to permit the use of MSLDs that met the technical and performance standards in RTCM Standard 11901.1. Under the FCC’s Rules, MSLDs that are not certified under this RTCM standard may not be manufactured, imported or sold in the United States after January 17, 2018. Ocean Signal states that its rescueME MOB1 Maritime device meets the technical and performance requirements of RTCM standard 1901.1 and that it submitted the device for testing to an accredited testing lab in 2017. However, because of a workload backlog at the testing lab, it did not expect the testing to be completed by the January 17, 2018 deadline. As a result, in order to have enough time to obtain the required FCC authorization, Ocean Signal requested a temporary waiver so that it could continue marketing and selling its MOB1 device in the United States. In granting the rule waiver, the FCC recognized that the MOB1 device was previously found to be in the public interest and that it is expected to comply with the current rules. Additionally, the FCC also noted that there are a limited number of accredited labs that can perform the required testing — which has resulted in “queues” for compliance testing. Service providers should provide PSAPs with “actionable information” whenever 911 is down. Service providers should notify PSAPs about outages that affect any aspect of 911 services, including service-wide outages. Service providers should offer PSAPs an initial notification of 911 service outages as soon as they can offer a “strong maybe” that there is an outage taking place — in other words, even before an outage can be confirmed with complete certainty. PSAPs and service providers should create training opportunities to discuss how to send and respond to notifications during the critical period immediately following an outage when the outage’s scope and root cause may not yet be completely known. Service providers should offer PSAPs notifications that include a description of affected network elements, geographic scope, expected duration, and any other information that could have an impact on 911 services. Service providers should send an authoritative outage notification that reliably gets to everyone who needs it. Where possible, service providers should identify the source of a 911 outage to PSAPs. Service providers should coordinate with state 911 authorities in advance about 911 notification approaches that work best for their respective areas. For example, states that operate their own 911 networks or that have state-wide 911 administrators may wish to receive outage information directly (instead of, or in addition to, the affected PSAPs). Service providers should include contact information for their network operations centers (NOCs) in all PSAP notifications, in case the PSAP has follow-up questions or information to share with the service provider. PSAPs should provide back-up point(s) of contact to ensure that service providers can relay 911 outage information, regardless of whether their primary contact for outage notification is out of the office (e.g., designating an individual’s personal e-mail account as the PSAP’s official outage notification contact may not be effective if that person is unavailable and not monitoring his or her inbox). Service providers should ensure outage notifications are provided in an effective format. Service providers should offer PSAP notifications in a consistent format to facilitate the PSAP’s comprehension of outage information. Service providers should leverage emerging technologies to improve the way outage notifications are communicated. For example, service providers should consider supplementing phone and e-mail notifications with notification through an online dashboard or portal, text messages, or map-based interfaces, where available. Send authoritative information using a variety of methods. PSAPs and service providers should coordinate as soon as possible following an outage to present a consistent and authoritative public message about 911 outages. PSAPs and service providers should use social media to supplement, rather than replace, television and radio broadcast in order to inform the public about 911 outages. PSAPs should consider becoming authorized to use Wireless Emergency Alerts, because they can be an effective tool to notify the public about 911 outages. Make sure your message is accessible. PSAPs and service providers should make sure that communication with the public about 911 outages is accessible to all consumers, including those with hearing or other disabilities and those with limited English proficiency. For example, PSAPs and service providers should consider using “universal design” principles. PSAPs and service providers should also consider creating captioned 911 outage preparedness videos. Docket 03-103 – Involving amendments to the Air-Ground Telecommunications Services rules. The last filing in this docket occurred on May 2, 2011. Inasmuch as there has been no activity in either of these dockets for an extended period of time, and in the case of the Maritime Rules, the last appeal was dismissed almost 5 years ago without further appeal, the FCC has determined that these dockets can be closed due to lack of activity. The FCC is seeking comments on its request under the Paperwork Reduction Act of 1995 (PRA) to continue information collection activities in connection with its 800 MHz frequency assignment rules, and in particularly, its rule which permit rule waivers for applicants to short-space transmitters with respect to incumbent facilities provided that applicants can demonstrate that co-channel stations would receive the same or greater interference protection. Comments are due March 19, 2018. The PRA requires agencies to periodically seek common on whether proposed or existing information collection requirements are “necessary for the proper performance of the functions of the [agency], including whether the information shall have practical utility.” In this regard, the FCC’s rules provide criteria for the separation of co-channel facilities in the 800 MHz band in order to prevent the potential for harmful interference. Rule Section 90.621(b)(5) permits stations to be located closer than the required co-channel separation, so long as the applicant provides letters of concurrence indicating that the applicant and each co-channel licensee within the specified separation agree to accept any interference resulting from the reduced separation between systems. Applicants are still required to file such concurrence letters with the FCC. Additionally, the FCC did not eliminate filings required by provisions such as international agreements, its environmental (National Environmental Protection Act (NEPA)) rules, its antenna structure registration rules, or quiet zone notification/filing procedures. Rule Section 90.693 requires that 800 MHz incumbent Specialized Mobile Radio (SMR) service licensees “notify the [FCC] within 30 days of any changes in technical parameters or additional stations constructed that fall within the short-spacing criteria.” In this regard, it has been standard practice for incumbents to notify the FCC of all changes and additional stations constructed in cases where these stations are located less than the required 70 mile distance separation, and are therefore technically “short-spaced,” but are otherwise fully compliant with the technical parameters specified in the FCC’s Short-Spacing Separation Table. The FCC says that it uses the information in order to determine whether to grant licenses to applicants making “minor modifications” to their systems which do not satisfy mileage separation requirements pursuant to the Short-Spacing Separation Table. The FCC is requesting comment on a long-standing Petition for Rule Making filed by James Edwin Whedbee seeking to amend Part 15 of the FCC’s Rules in order to allow the operation of unlicensed intentional radiator devices in the 95-1,000 GHz band. Comments are due February 28, 2018. In seeking this amendment, Whedbee states that IEEE-USA previously asserted that technological developments in this band have been stalled because of a lack of service rules that would permit operations on this spectrum. Further, Whedbee explains that the proposed rule is almost identical to those used for other millimeter wave EHF bands in Part 15, including for spurious emissions and spectral purity. Whedbee states that the proposed rule will protect radio astronomy, space research, and earth-exploration satellite services by requiring operations which might impact those services above 275 GHz to be conducted indoors. Finally, Whedbee asserts that formal licensing in the 95-1,000 GHz band would hinder technological developments that the proposed rule would permit on an unlicensed basis under Part 15. Some might believe that since the Internet has revolutionized things, many old technologies are obsolete. This is partly true. Everyone knows that some pieces of technology are no longer in use like old CD players or even DVD movies since movies are now streamed online. Still, not every piece of technology is obsolete because a number of them are still alive and kicking or have simply evolved with the times. It may surprise some, but pagers are still being used in many hospitals across the world, including Britain, Australia, and the United States. The reason is quite simply because they are more reliable than cell phones. Sure, cell phones are usually reliable, but there are times when the signal drops or when Wi-Fi does not work properly. A doctor or nurse cannot take any chances because of every second count during an emergency. There are some who fear medical professionals using this particular kind of technology, but it seems to be a precaution rather than the inability to adapt to updated versions. 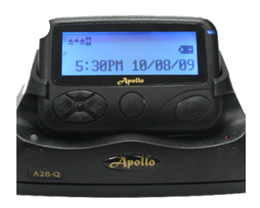 This is not to say that pagers are not growing since some offer the ability to chat without compromising its durability. Keep in mind that a hospital is a fast-paced environment, meaning these devices can fall, and a cellphone breaks easier than a pager. It seems that doctors and nurses are not giving up their pagers for the sake of their patients, which is quite admirable. Some hospitals are attempting to adopt smart technology in some areas of the world, but it has not been perfected yet, and it is better to be safe than sorry. These are just some technologies that some would consider outdated but are still serving a purpose. There are others out there being used, which would probably interest technology buffs. No one is saying that these technologies should not be changed because everything can be improved on. The Listen to the Music series is our newest body of work comprising 12 new Songs Around The World. and featuring Buddy Guy, The Doobie Brothers, Warren Haynes, Dr. John, Jack Johnson, the Preservation Hall Jazz Band, and many more. All music in this series was recorded live outside with a mobile studio and features over 200 musicians from 25 different countries. The album will be released on April 20th 2018, with one new video from the series dropping every month! 100% of Playing For Change’s profits from this album will go to the Playing For Change Foundation, helping to support music education across the globe. Listen to the music; change the world!